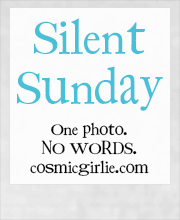 Posted in Silent Sunday on 20/07/2014 by mummyglitzer. Awww he looks so happy to be doing that! Looks like it can be a bit messy too! It was nice! He was so thrilled to help. Something looks scrummy! Always nice to have some help! Good lad! It's great when they reach the stage where they become helpful in the kitchen! He looks like he's enjoying this!! He really did, must do more things like that with him. Aw, Rachel, I wept AND grinned at this - he looks so, so, happy! He really is Phil, it's so nice to see him so happy and confident so much now. Yum!, Looks like Little Man is really getting stuck into that mixing, I bet he had to sample it too ;). oooh what are you making? Looks like someone's enjoying helping very much! Wow, looks like you have a very able helper. A very cute helper in the kitchen - looks like he's having a great time.